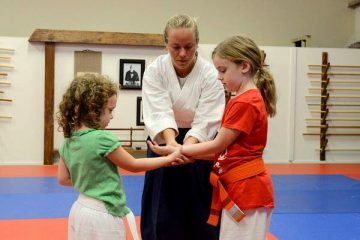 Aikido Summer Camp is a great opportunity for your child or teen to learn Aikido as well as deal with conflict. DO ‐ a way, or a path Aikido moves in harmony with forces around us, instead of fighting against them. Students practice a relaxed and confident approach to conflict. We work to avoid harm and to end conflict safely. We've never done anything like this before, and we want you to come enjoy this free event in Sarasota. Taiko Drummers, playing a traditional percussion instrument of Japan, put on an awesome show. Best of all, their performance is an immersive experience that invites everyone to participate. Tampa Taiko is a professional drumming ensemble that has thrilled a vast array of audiences, performing at festivals, concert halls, schools, workshops, summer camps, corporate and VIP events. Tampa Taiko has developed a dynamic fusion of old and new styles of drumming, bringing the contemporary ear to an ancient martial art form.